The Green Bean crew was determined to help new riders find their way to the sport and the endurance riding family so many of us know and love, to build a sense of community. “How could we build strong social networks and create a safe haven for those green to the sport?” as Jacke Reynolds, who created the featured image on this blog, put it. I decided to create a local WNY Endurance Green Beans’ page after holding a couple of live Endurance 101 clinics at our farm, and locally here near Buffalo and in the NE Region, and I saw firsthand what an incredibly powerful idea it was. Local new folks meeting more experienced folks, sharing ideas, tack, conditioning rides, successes/failures/challenges, arriving at their first competition with familiar faces in the crowd, and a game plan for having a fun, safe day. It became a competition for new riders, complete with scoreboards, points and prizes. Riders could participate in teams, with completions (not placements) accruing points, and getting Green Beans rooting on team members who they may only know virtually via email or Facebook. As one might imagine, setting up the competition aspect took an extraordinary amount of time and energy, and the team at the helm of the movement has had changes over the years, but the mission remained the same — giving new riders a safe place to learn, to build a sense of community and to give them a chance to compete in a way that encourages education and a way to safely climb the steep learning curve to success in our sport. What an extraordinary effort by folks just trying to make our sport better and volunteering their time and energy to make it happen! 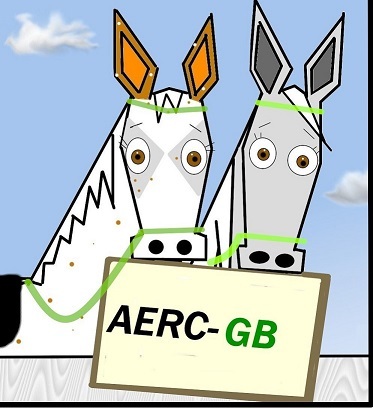 About three years in, a new exciting milestone — AERC (American Endurance Ride Conference), the sanctioning organization for endurance riding in the USA and Canada, has made the Green Bean Program an officially sanctioned part of the sport. For the 2018 riding season (which actually begins on December 1, 2017), riders with fewer than 1,000 miles can sign up for Green Bean Endurance as well as their AERC membership and be eligible for Green Bean competition. There are many reasons that I am proud of our sport. Adoption of the Green Bean movement is a biggie. We are just getting started in bringing the Green Bean competition under the big AERC umbrella, but I couldn’t be more excited to see where this goes.